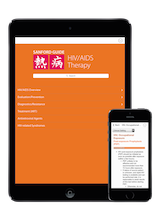 For the hepatologist or practitioner who needs comprehensive, current information on prevention, management, and treatment of hepatitis infections, the Sanford Guide to Hepatitis Therapy includes all relevant information in one app. Information is organized by topic, or can be queried using the full-text search function. 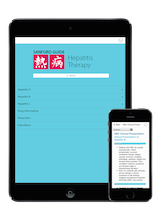 Each subscription includes ongoing content updates to help clinicians keep up with the rapidly changing landscape of hepatitis therapy. 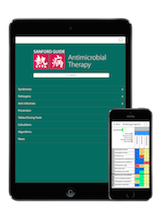 Already have an active Hepatitis Therapy app subscription? Download the app, tap "Log In," and follow the on-screen prompts.